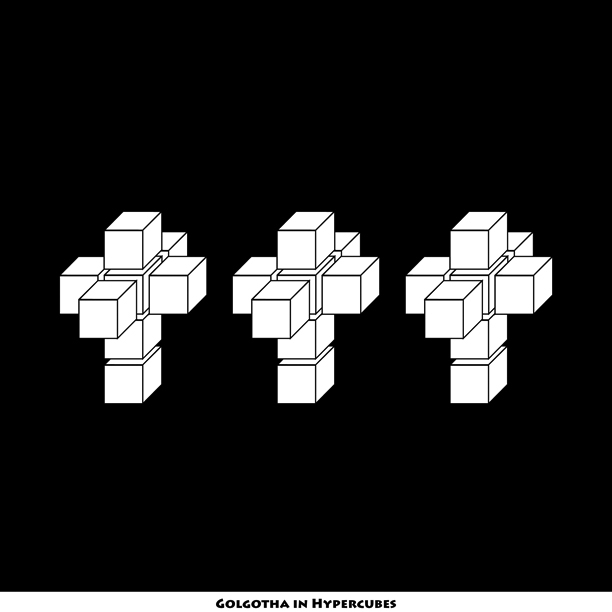 Tesseracts, AKA four-dimensional or hypercubes used to represent the scene at Golgotha. I got the idea from the 1954 painting Corpus Hypercubus by Salvador Dali. This entry was posted in Art and tagged 1954, 4D, Calvary, Christ, Christianity, Corpus Hypercubus, cross, cube, Dali, fourth dimension, geometry, Golgotha, Israel, Judea, math, oil painting, tesseract. Bookmark the permalink. ← So Who Do You Think You Are?